Yesterday we went to Key Largo; today, like the characters in the film Key Largo, we're holed up in our hotel, waiting for the storm to pass. 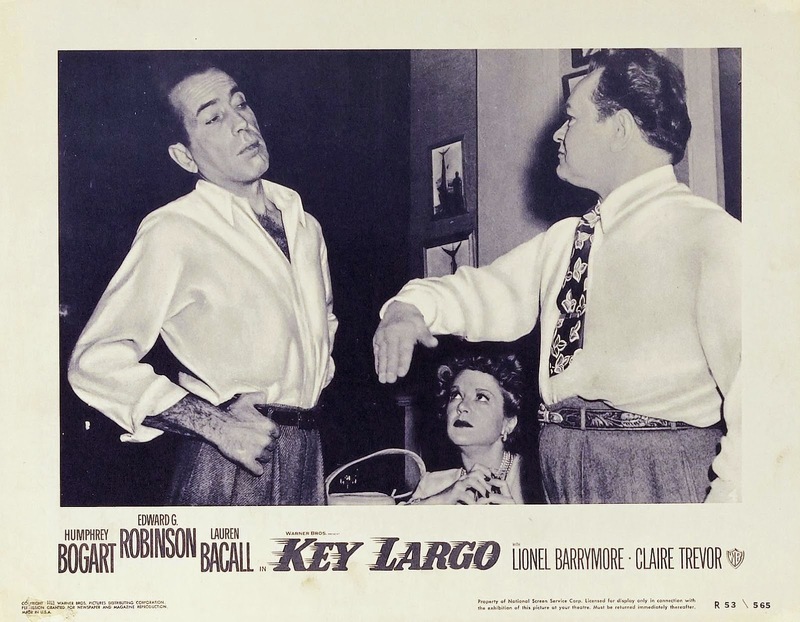 Most of the Key Largo movie takes place inside the hotel, which often means inside a sound stage. 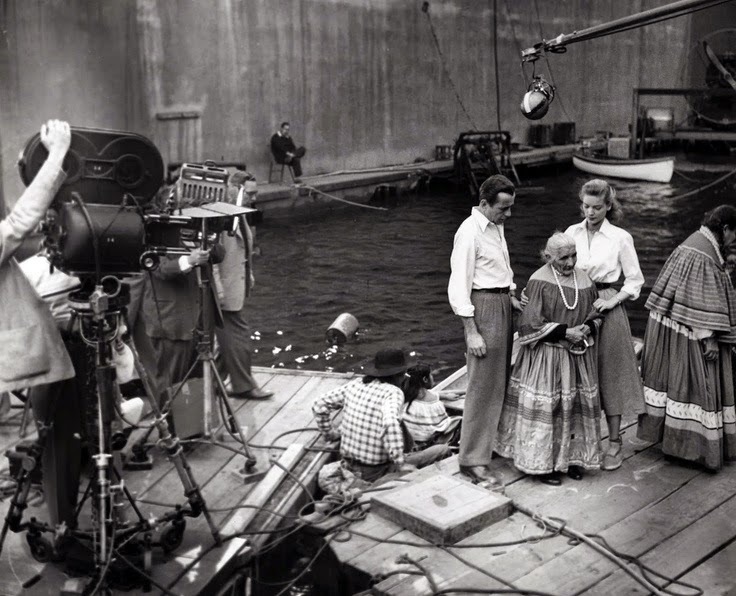 In Key Largo even the famous tropical storm was shot inside a sound stage at Warner Brothers. Actually most stormy weather scenes are shot in water tanks inside sound stages. It's the only way the filmmakers can have any control over the weather. 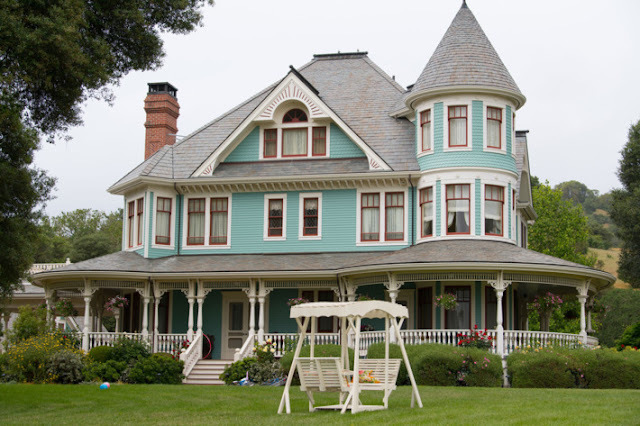 Things look fairly calm in this scene below. 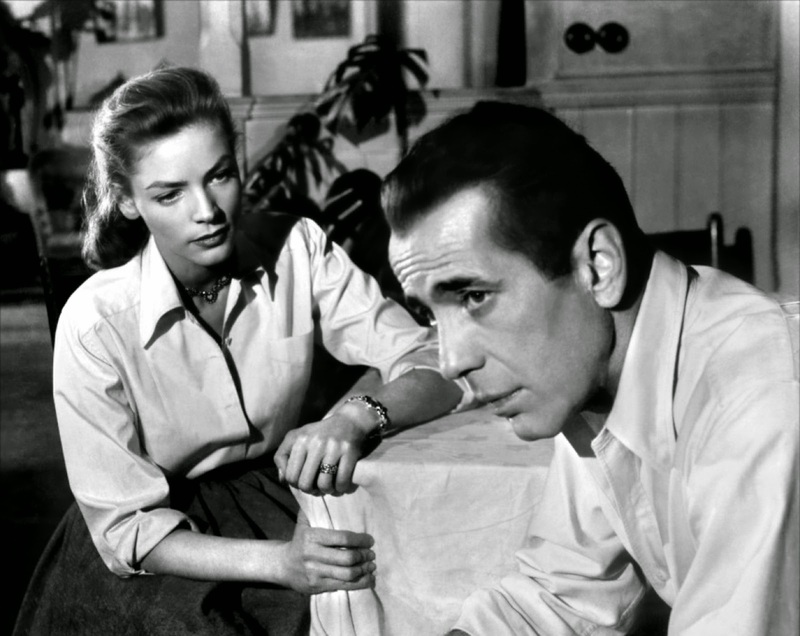 If you can believe what you read on Wikipedia—and of course you can, always—Lauren McCall and Bogey never made it to Key Largo for the shooting of the movie, their fourth and final film together. But take it from me, you don't need to read it on Wikipedia, my hubs and I did. We hit Key Largo's John Pennekamp Coral Reef State Park, choosing to take a glass bottom boat instead of a snorkeling trip out to Molasses Reef. Molasses Reef, so named because once upon a pirate-y time a ship carrying molasses was sunk at the site, all traces gone forever. Unlike the plastic water bottles some idiots discarded in the water where they will live FOREVER! Getting past the plastic, the reef was so gorgeous and amazing a site—so many pretty fishies in the deep blue sea—that we're thinking about tracking down a corrective mask for me (you can't wear a mask over glasses, and I'm here without contact lenses) so we can go snorkeling out at Pennekamp and see the Christ of the Abyss statue. 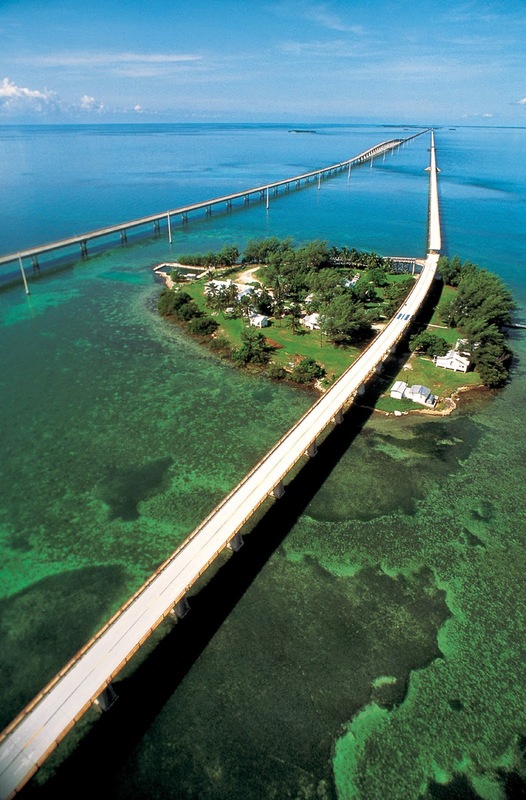 Or we may take the day trip out from Key West to the Dry Tortugas, cuz I really, really wanna see a tortuga! And it's supposed to be the best snorkeling in North America. We were planning on driving down to Key West from Islamorada today when the rain hit. It's about a two hour drive to the south, including a stretch of it over the seven mile bridge, a thin strip of bridge over troubled waters, so instead we're bunkering down as I write this, watching the weather from our hotel room's screened-in lanai, waiting for the rain storm to pass. Things can get a bit tense when you're all cooped up together with no escape. Let's hope no one around here gets too testy. That brings me back to this week's #ThrowbackThursday movie classic. 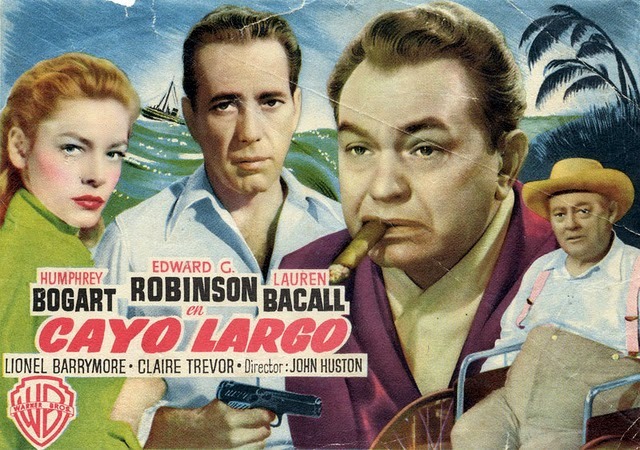 Key Largo doesn't fit my usual criteria for adaptations; it's not based on a book, rather, Key Largo is loosely based on the play written by Maxwell Anderson. While these days we consider the movie directed by the legendary John Huston, a noir classic, the film didn't garner a lot of awards when it was released in 1948. The only Oscar went to Claire Trevor for Best Supporting Actress. Director John Huston cowrote the screenplay with Richard Brooks who both wrote AND directed some amazing films of his own before his death in 1992 including Cat on a Hot Tin Roof, Sweet Bird of Youth, Lord Jim, The Professionals and Looking for Mr. Goodbar. He also wrote some stinkers like Fever Pitch with Ryan O'Neal. 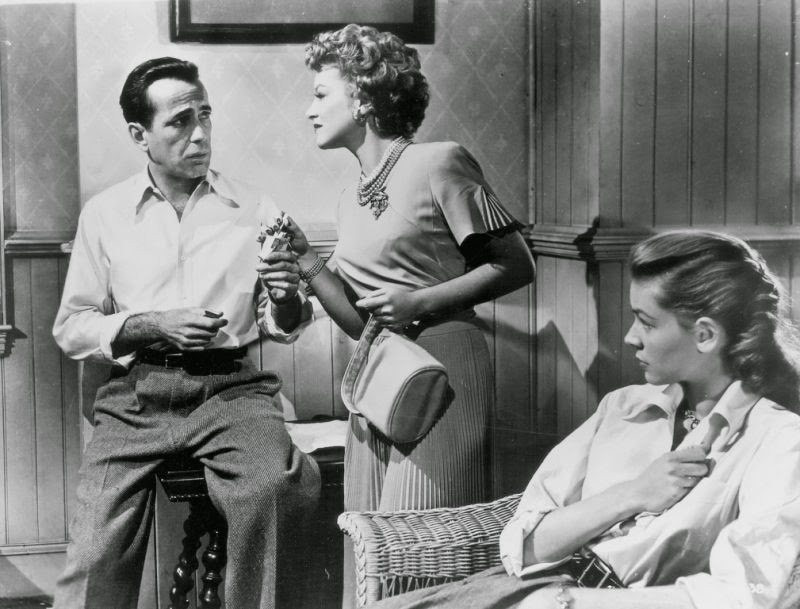 While Key Largo wasn't a stinker, and has definitely achieved the 'classic' status, the film was nominated by the Writers Guild for Best Adapted Screenplay, but failed to win. These days we don't care about any of that. 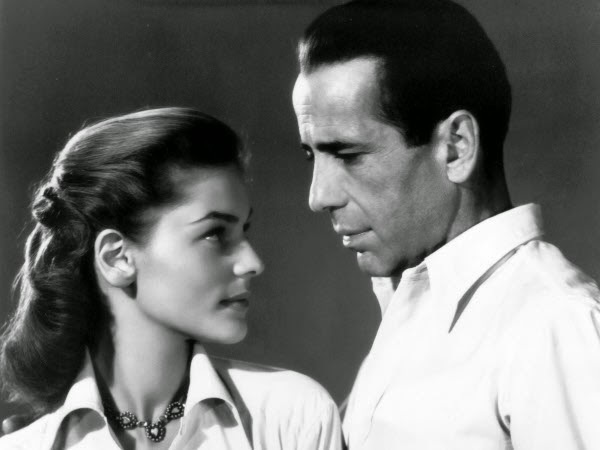 We want to see Bogey and Bacall together, we want to bear witness to their chemical reaction. 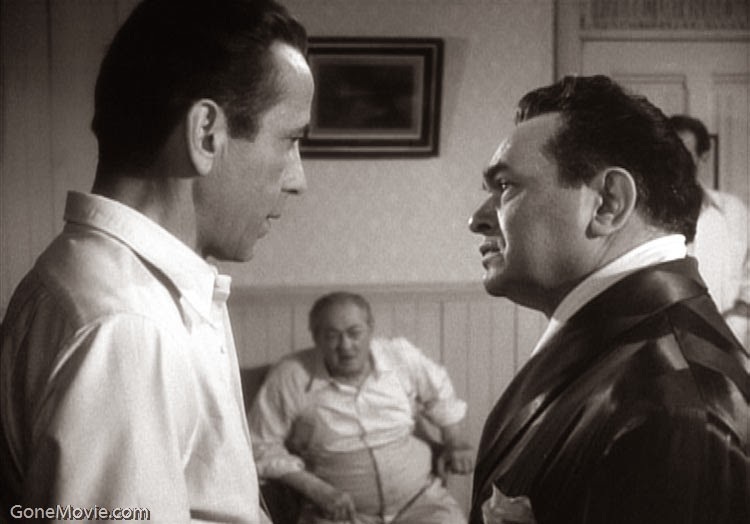 We want to see Bogey go head to head with Edward G. Robinson. 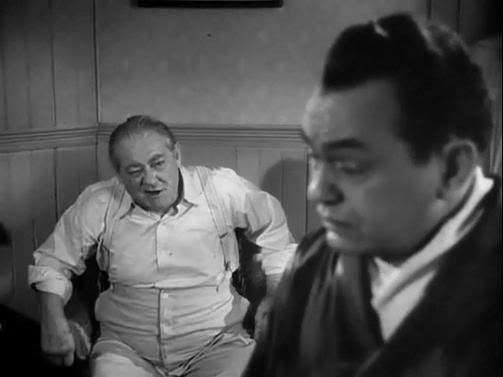 We want to see Lionel Barrymore of the famed Barrymore acting clan, better known to 21st century audiences as Mr. Potter in It's a Wonderful Life. Barrymore's sister Ethel won a Best Supporting Actress Oscar for her role opposite Cary Grant in None but the Lonely Heart in 1948. His better known brother was the acclaimed film and stage star John Barrymore who just happens to have been Drew Barrymore's grandfather. She never knew him; John Barrymore passed away from cirrhosis of the liver at age 60 in 1942, long before she was born. 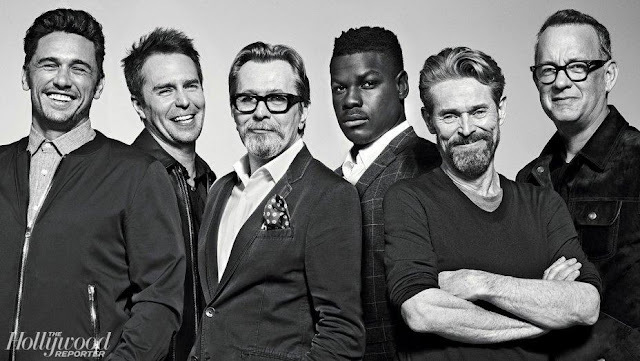 We want to see the actors that the Warner Brother's trailer hails as "the screen's most electrifying personalities." And we want to see them directed by the legendary John Huston, in beautiful moody black and white. Speaking of things that will live forever—remember those discarded plastic water bottles?—Key Largo will. 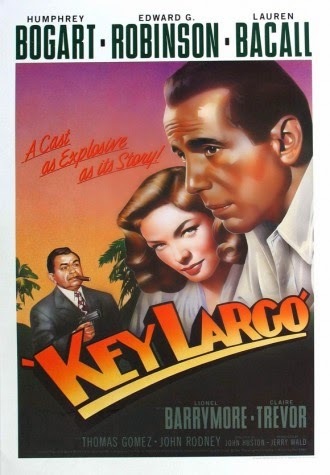 Key Largo is available to stream on Amazon, Google Play and Vudu.